Government of Jamaica moves closer to dismantling bureaucratic red-tape to facilitate SMEs doing business at state agencies! The small-to-medium-sized sector has been assured that the Government of Jamaica is committed to removing the bureaucratic red tape that often hinders the success of Jamaican business sector, according to State Minister for Industry, Investment & Commerce, Michael Stern. Michael Stern, State Minister for Industry, Investment & Commerce. Addressing a meeting a meeting of the Government of Jamaica and the Government of the Netherlands (GoJ/GoN) Micro-Finance Board members and management team Tuesday (February 9, 2010) in Kingston, Minister Stern said Government was pressing ahead with plans to merge the facilities which currently cater to the needs of small and medium enterprises. He reiterated that the plan is to have one agency set up in the Industry Ministry to deal with SMEs. “The main reason for this is that our people are wasting valuable productive time going nowhere in having things done at various state agencies. Imagine you drive to one agency to conduct business just to be told that you must go elsewhere it done, and when you get to that place, you are again told you either to go back to where you came from or get sent to another agency, therefore, we are going to be combing agencies to prevent the bureaucratic bungling,” Minister Stern said, because it was particularly important as the government is looking to nurture the small business sector as one of the vehicles that will propel Jamaica’s economy. The GoJ/GoN Micro-Financing Programme focuses on extending credit to Jamaica’s micro enterprise sector. It falls under the Minister of Investment and Commerce, and is being executed through the management consultancy firm, Development Options Limited. Another avenue of propelling the Jamaican economy may be the enactment of legislation that will see persons accessing loans based on credit history rather than the provision of typical collaterals, such as land and motor vehicle titles. Minister Stern says all is in place for parliament to begin the debate on the Credit Reporting Bill. The passage of the legislation will pave the way for creation of credit bureaus which will provide credit information on individuals. “Over the years, there have been calls for the establishment of the Credit Bureau, and I said now it is becoming a reality. We have gone through all the phases, and we have heard from hundreds of organisations who have concerns about it,” said Minister Stern. 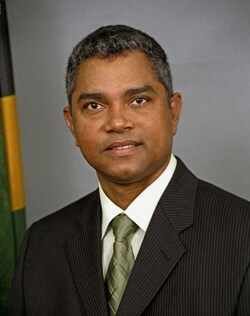 The debate on the Credit Reporting will be opened in Parliament on Tuesday by Finance Minister, Audley Shaw. ← The 10 Customer Service Trends for 2010!